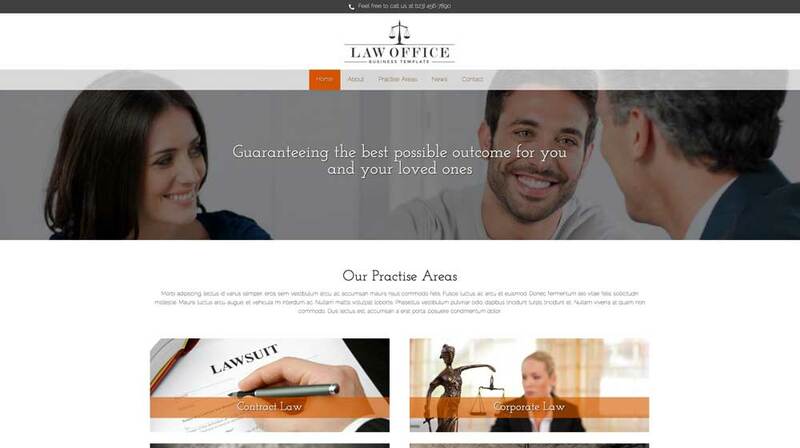 The Law Office WordPress theme is designed to help attorneys easily build a professional website without any coding. Pages for common legal practice areas are already set up and waiting for your content, and powerful business features are included so you'll get the most out of your investment. 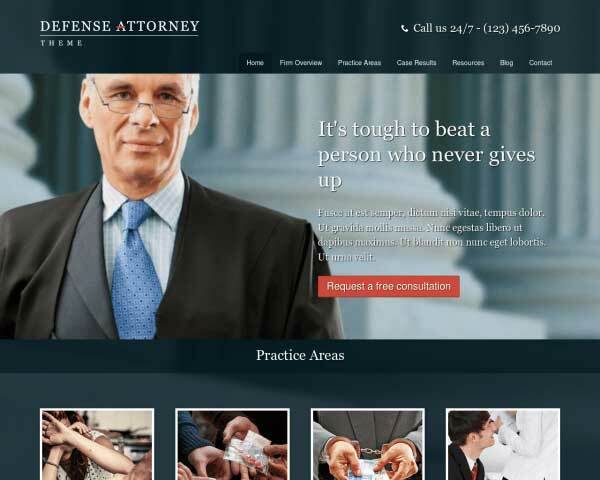 Attorneys practicing in any area of law need a professional website to make a convincing case when it comes to attracting new clients online. 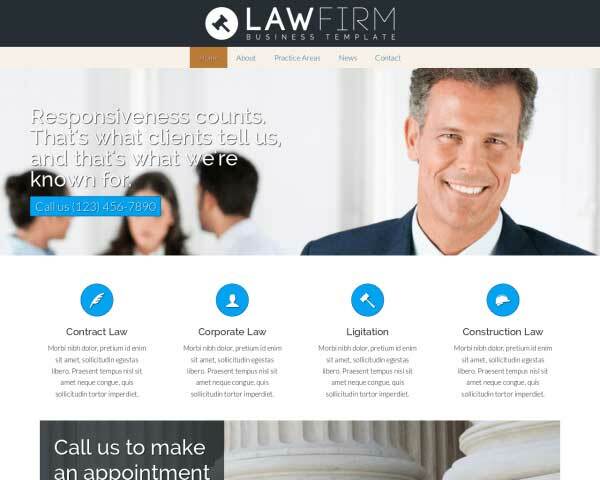 With the Law Office WordPress theme, we've made it easier than every to quickly build an attractive, informative website for your law firm. Here you'll find pages already set up for common legal practice areas, partner profiles and contact details. Use the news blog to share relevant articles and increase traffic to your site. This premium website template is filled with placeholder content so you'll only need to upload your own photos and paste in your text. If you'd like to change the color scheme and fonts or adjust pages layouts, this can all be done without any coding at all using our unique front-end editing tool and drag and drop widgets. 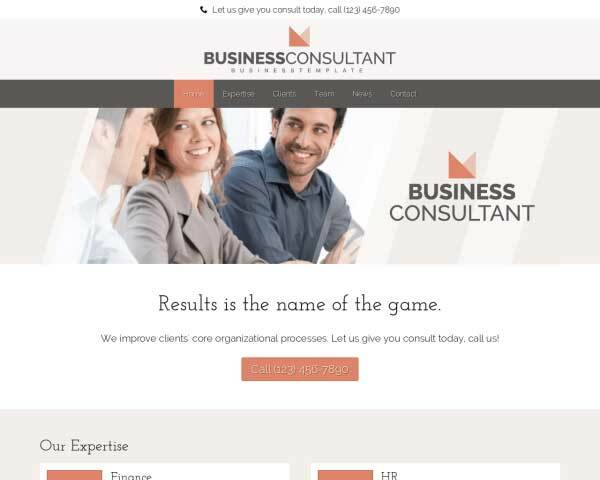 We've also included powerful business features like built-in contact forms, integrated social media, and an SEO manager to help boost your search engine rankings. 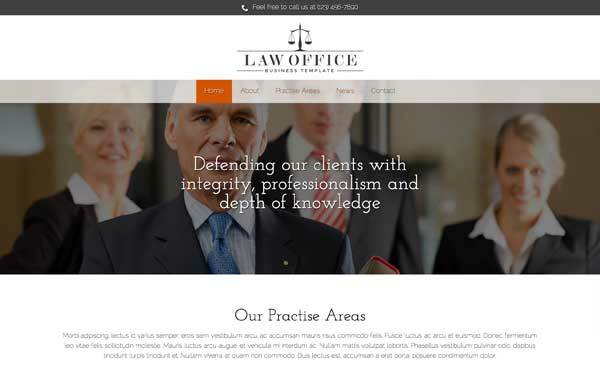 Your mobile-optimized legal services website can be online and attracting new clients in no time when you start with the Law Office WordPress theme. 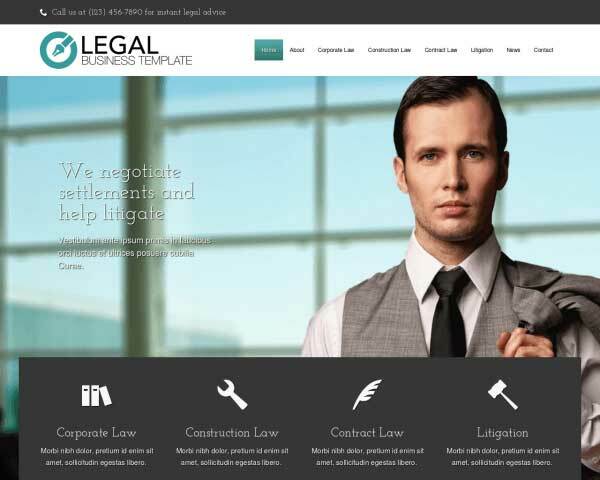 Focused on delivering content the best way possible, the Law Office WordPress Theme is built to help you generate relevant traffic to your site by easily adding blog posts on a regular basis. 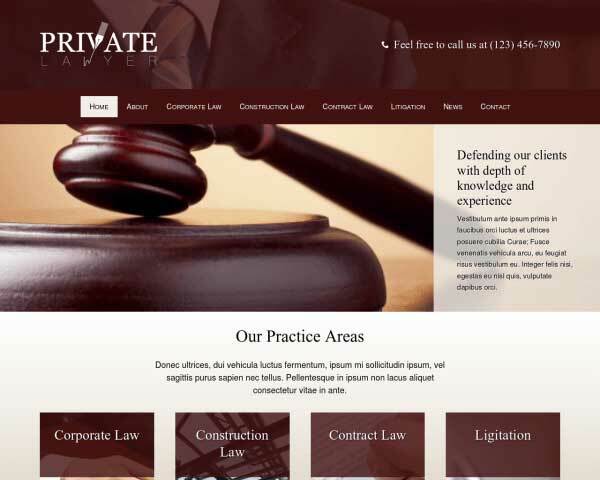 Before designing the Law Office WordPress Theme we conducted indepth research to learn the needs of lawyers. This way, you can be confident that the theme suits your needs. Your contact page is one of the most important pages of your whole site. That's why the Law Office WordPress Theme comes standard with an integrated Google map, route planner and a customizable contact form. 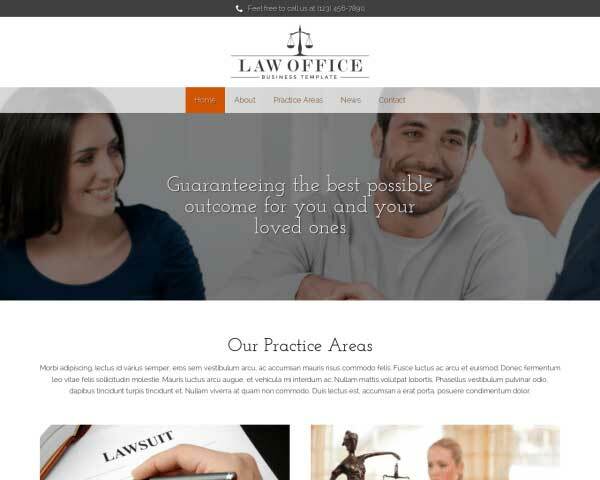 We've set up the Law Office WordPress Theme with pages for details about each of your services and business solutions to help get your website online fast. 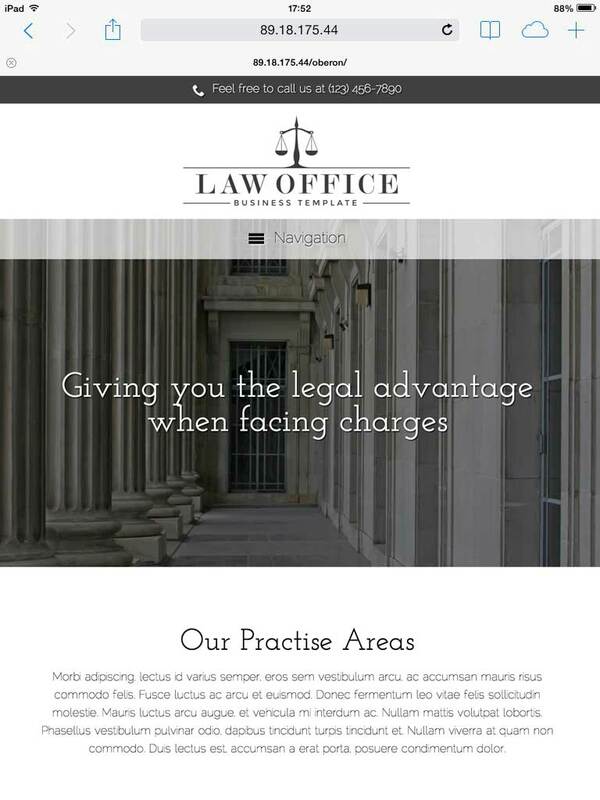 The clean layout of the Law Office WordPress Theme let's your website's visitor know instantly what solution you can offer for their respective problems. 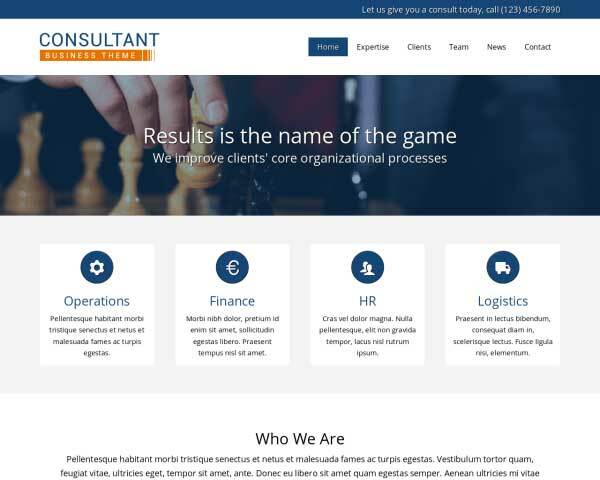 Add a personal touch to this WordPress theme for legal companies by introducing each staff member with a photo and short bio. 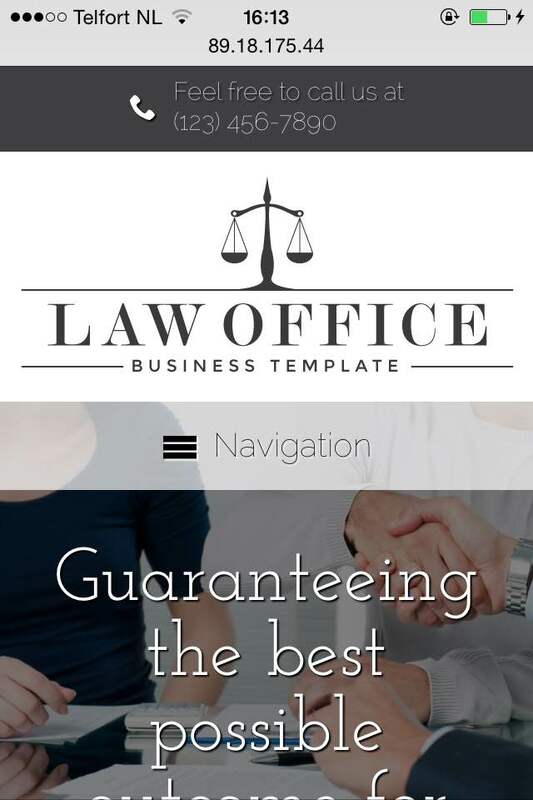 This mobile-optimized website template for law firms will impress prospective clients even when viewed on on small screens. No additional coding or plugins are required to achieve a sleek mobile version of your site. 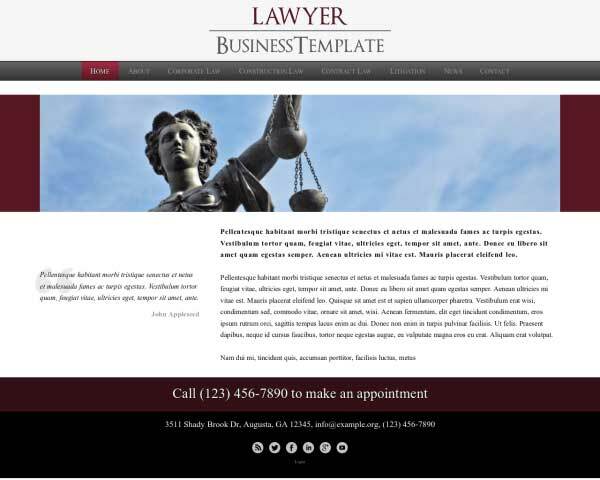 With the responsive Law Office WordPress theme, the layout of your content will automatically adjust the layout of your content to fit neatly on any screen size. Customize your site and add content with confidence knowing that mobile visitors using smartphones and tablets to browse your website will enjoy the same professional design and functionality of the desktop version.